Four young researchers from abroad will be initiating new research projects at Johannes Gutenberg University Mainz (JGU). Three of them are postdoctoral researchers working in the field of physics, the fourth combines palaeogenomics with his study of prehistoric archaeology. They will be receiving support in the form of Individual Fellowships (IF) provided through the European Union's Marie Skłodowska-Curie actions (MSCA) program, which is a particular distinction for the four researchers. These outstanding young academics will be entitled to EU sponsorship worth a total of EUR 650,000 for a period of 24 months. Physicist Dr. Lorenzo Baldrati is specialized in the field of spintronics, a technology of the future which uses innovative materials to drive forward developments in information technology. In spintronics, a spin current rather than electricity is used to transmit information. In his research project, Baldrati intends to investigate new aspects of spin transport in antiferromagnetic materials. Lorenzo Baldrati obtained his doctorate at the Politecnico di Milano in Milan. During his PhD studies, he was a Rocca Fellow at the prestigious Massachusetts Institute of Technology (MIT) in Cambridge, USA. He came to Germany in November 2016 after being awarded a scholarship by the Materials Science in Mainz (MAINZ) Graduate School of Excellence at JGU and has been a member of Professor Mathias Kläui's research team since May 2017. Following the discovery of the Higgs boson at the CERN research center in summer 2012, the mechanism behind the origin of the mass of elementary particles had been satisfactorily explained. However, since then numerous new questions concerning the nature of the Higgs boson itself have arisen. 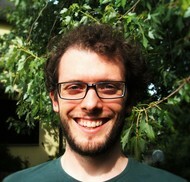 Dr. Peter Berta, a member of the team led by Professor Lucia Masetti, is investigating the strength of the interaction between the Higgs boson and the top quark that can be studied by analyzing proton-proton collisions using devices such as the ATLAS detector at the CERN Large Hadron Collider (LHC). If it turns out that the obtained results deviate from the predictions of the Standard Model of particle physics, this would indicate the existence of new phenomena that could answer many open questions about fundamental interactions. 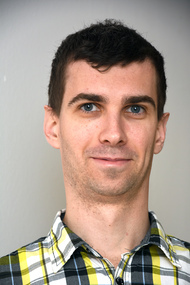 Peter Berta, born in Slovakia, was awarded his doctorate by the Charles University in Prague and as part of his doctoral research project has been working at the ATLAS detector since 2012. He came to Mainz University as a postdoctoral researcher in March 2017. Dr. Maxime Brami, whose field is prehistoric archaeology, is undertaking a project to examine population dynamics in Southeastern Europe during the Neolithic period, when humans began the transition from a hunter-gatherer lifestyle to form settled communities. Of particular interest to him is how the first farmers interacted with the hunter-gatherers during the initial phases of the spread of agriculture, in other words in the period approximately 6600 to 5950 BC. His objective is to find out whether early farmers and nomadic groups actually coexisted in the northwest of Turkey and in the Balkans at this time and also whether they eventually intermarried. He also wants to understand the population structure of the early farming communities. For the purposes of his research, Brami will be collaborating with the Palaeogenetics Group of Professor Joachim Burger. Born in France, Brami obtained his doctorate from the University of Liverpool and subsequently worked as a postdoctoral researcher at the Austrian Academy of Sciences and as a lecturer at the University of Vienna. Dr. Arezoo Mokhberi's area of research is quantum physics. Currently she is interested in the manipulation of cold, trapped ions that are excited to a Rydberg state. When an atom is in one of the Rydberg states, the electron in its most external orbit is further apart from the nucleus than when the atom is in its ground state. Mokhberi, who comes from Iran, is developing her project as a member of the team headed up by Professor Ferdinand Schmidt-Kaler. The aim of this project is to enable coherent control of crystals of cold trapped Rydberg ions. For this purpose, a laser cooling technique is used to cool ions in an ion trap to a temperature very near absolute zero, which is at minus 272 degrees Celsius. Under these conditions, physicists are able to investigate closely related multibody systems. In addition, the goal is to develop methods that will pave the way for the experimental realization of quantum stimulators of complex systems. 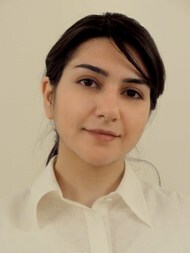 Arezoo Mokhberi studied at the University of Tehran and was awarded her doctorate by the University of Basel in Switzerland, where she also worked as a postdoctoral researcher in the field of physical chemistry. She moved to Mainz in April 2017. The EU’s Marie Skłodowska-Curie actions (MSCA) support researchers at all stages of their careers, regardless of field and nationality. Individual Fellowships are awarded to experienced researchers who wish to further their careers by working at a host organization outside their country of origin. This form of EU sponsorship provides fellows with the ideal basis for successfully completing their projects.